CPU coolers & heatsinks are responsible for keeping your processor running cool and protecting it from overheating. It's important when purchasing a CPU cooler to check the max TDP (thermal design power) ratings on it and your CPU to ensure that the cooler can handle the heat you'll be subjecting it to. 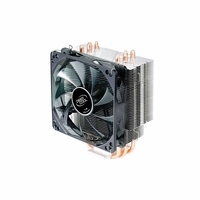 We carry a huge selection of processor coolers broken up by AMD and Intel in this category. 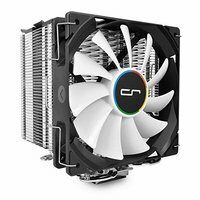 Choose the best fan you have budgeted for your build and you'll be happier in the long run. Other considerations when choosing a fan include noise level, design, fit inside your case, lighting, and more. 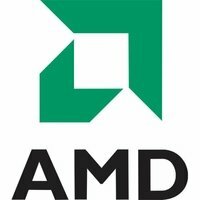 Can you use an AMD fan on an Intel socket (or Intel Fan on AMD Socket)? No! 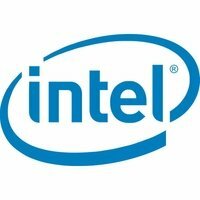 AMD and Intel sockets are incompatible with each other when it comes to size, mounting points, and contact areas. However, there is one major exception to this - many fans nowadays are 'Universally Compatible' with many sockets. What that means is that the fans come with mounting hardware that is compatible with various sockets across the Intel & AMD lines. 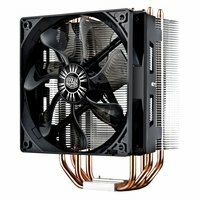 One famous model that has mounting hardware for both manufacturers is the Cooler Master Hyper 212 Evo. What are the most common materials in a heatsink? 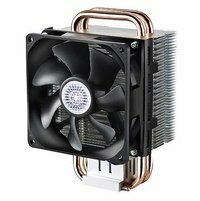 Most heatsinks for processor cooling are made of copper, aluminum, or a mixture of both. Copper is the better conductor of the two and more expensive. My CPU fan is dead. 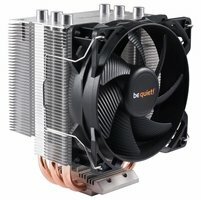 Should I replace just the fan or the entire thing? Most people find it easier to replace the entire cooler (and make sure to re-apply thermal paste) because it's much simpler to do so. However, heatsinks don't really have movable parts that fail - meaning that replacing just the fan component of the cpu heatsink fan bundle is all you really need to do. To make sure you do it right though, get the exact measurements of the fan and make sure the replacement model you buy aligns in exactly the same contact points. The first step is to clean the CPU and heatsink. I like to clean both using a solvent like miner spirits or Goof Off. Both of these will do a good job cutting through grease and gunk, especially if you're cleaning off some old thermal compound. I use a cotton swab or que tips to clean both the bottom of the heatsink and the CPU core. We only need to clean the CPU core itself. It's unnecessary to clean anywhere else on the chip, since it won't be contacting the heatsink. After I clean up with the solvent, I finish cleaning with Isopropyl Alcohol (get some good quality stuff. It should be under $5). I use a lint free tissue for this job, and clean both the heatsink bottom and CPU core again. Just let that dry off before going to the next step. Now that we have a nice clean heatsink and CPU core, we can get our thermal grease ready for application. I like to squeeze a small dab of thermal grease onto a small plastic plate (clean the plate please). I'll scoop this up with an exacto razer blade that I use as my trowel for spreading on the grease. Arctic Silver is my thermal grease of choice. I put a small amount (about the size of a rice grain or two) on my blade, and smooth this over the surface of the CPU core. I try to get a nice thin and even application on the core. It's going to be thin enough to just cover the core so I can't see it, but not so much grease that it's going to gush all over once I press the heatsink down onto the core. The grease is used to fill in the tiny gaps between the surface of the heatsink and the CPU core. At last, I'm ready to put the heatsink on. Most heatsinks have a conventional metal clip, it has a front side and a back side. It's very important to identify the front and back as this is crucial to getting a level seat on the CPU core. I can identify the front of the heatsink in two ways. Most heatsinks will have one side of the bottom that is notched out or recessed. This is to clear the raised plastic header on the front of the socket. Another way to identify the front end of the heatsink is by the clip itself. In many cases, the clip will have a swivel hook, thumb depressor, or notch for a screw driver. In contrast, the back end of the clip will just be a plain old hook. As mentioned above, some clips are designed so that they can be depressed using your fingers, in other cases it might be necessary to use a screwdriver. Now that I am sure which end of the heatsink goes to the front of the socket A, I'm ready to start. First, I attach the back end of the clip on to the back middle tab of the socket A. In order to do this, I have to tilt the heatsink back on an angle so that the clip will hook around the plastic tab. Once it's hooked, I can slowly and firmly push down on the heatsink until it is flat with the CPU core. Being right handed, I use my left hand to hold the heatsink in place for the next bit. Taking my flat head screw driver*, I place it in the notch on the front clip and push down until it hooks on the front plastic tab. I'm extra careful in doing this as it requires some force to push the clip down and on to the plastic tab. It's important the the screw driver is firmly seated in the metal tab so it won't slip out. * - Tip: To avoid damage to your motherboard. Customers have suggested taping a piece of cardboard or like material to the motherboard so if the screw driver slips it will help to prevent damage. Finally, I've managed to get the heatsink on and it seems to be firmly attached and level. But, I'm not going to press the "on" button just yet. After all this hard work, I'm going to remove the heatsink and see how good the contact was between the CPU and heatsink. I can do this by removing it and looking at the impression left by the thermal grease on the bottom of the heatsink. I'm looking for a nice square impression and good coverage. Well, there it is. Look's pretty good to me. At this point, I will go through the installation steps again. If I'm feeling extra paranoid, I can perform one more additional check to ensure good contact, and that is to shine a light from behind the CPU. There should be no light coming between the CPU core and heatsink. One last thing to do before we can power-up. Remember to connect your fan to power!